Jefferson’s Ocean: Aged at Sea – A boat is a singularly uncommon place to age bourbon, but inspiration struck Trey on the deck of his friend Chris Fischer’s research ship. While watching Jefferson’s Reserve bourbon rock gently in its bottle, they wondered what would happen to bourbon aged on the bow of a ship. The caramelizing of the sugars in the barrel combined with the constant motion of the ship resulted in a dark bourbon with a briny, savory taste aged beyond its years. Now, the next round has headed out to open sea and this time, the barrels, aged up to 8 years, will be going all the way around the world. With the success of Jefferson’s Ocean, a bourbon aged at sea, CEO Trey Zoeller decided to recreate (and celebrate) bourbon’s first voyage. 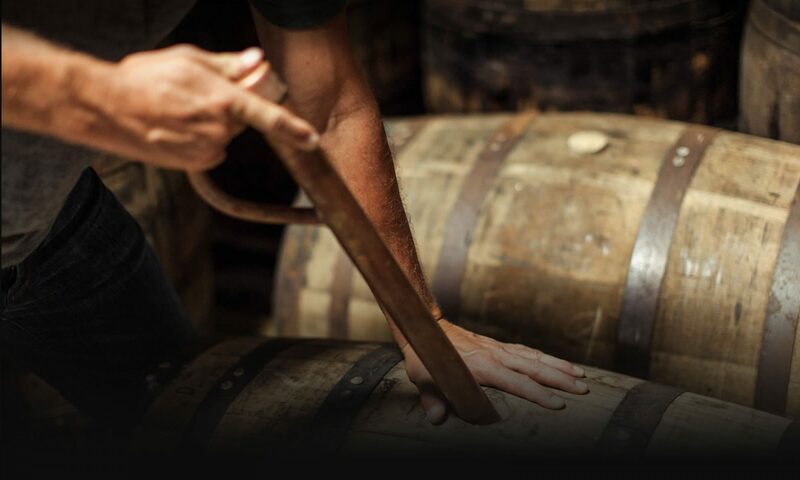 In the beginning, bourbon was shipped from Kentucky, all the way down to the ports of New Orleans, where it then continued all the way back up north to New York for shipment across the globe. We’re going to recreate that journey exactly. We’ve strapped two barrels of the finest bourbon you can make to a boat, and we’re floating it down the river from Louisville to New Orleans, where it will then continue on to Key West and then finally to New York. The inspiration behind Jefferson’s Wood Experiment Collection came from Trey spending time in a wine cooperage in Missouri. Wine cooperages are different than what you find in Kentucky as they have different treating processes, which focus more on toasting, slow cooking, and searing to bring different flavors to the forefront. It was at this point we asked, “How could we change up what the final flavors of the bourbon are afterwe mature it in typical bourbon barrels?” Trey startedby putting 4 year old bourbon that had been aged in new charred white oak barrels, and finished it in 13 different environments/vessels. There were so many combinations to experiment with – new bourbon barrels, new wine barrels, wine barrel heads on a new bourbon barrel, insert oak staves that have been seared, or oak cubes that have been slow cooked, etc. Over a period of 32 months, we charted the characteristics of each experiment monthly and analyzed how the different treatments have affected the outcome of the final whiskey. We decided to bottle them up in five 200 milliliter experiments so you can try five different experiments and see for yourself how these small changes make a vast difference.